No semi-auto firearm can perform well without its main components holding up decently. 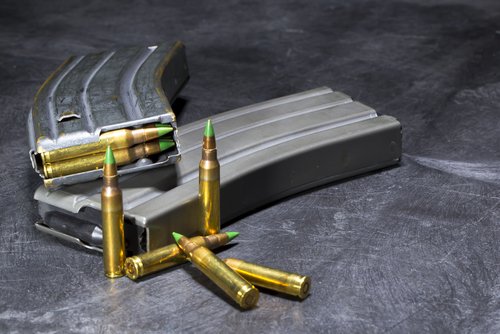 When it comes to such firearms, ammunition and magazines largely decide how effectively and accurately a weapon can be wielded. When either of these fails to function right, you get an unwieldy firearm that can let you down at the wrong times. The good news here is that magazine development in the past decade has progressed by leaps and bounds. If you own an AR15 rifle, you should be able to pick from a diverse array of quality magazines. The range of options stretches from single-shot options to ultra-roomy drum magazines made from various materials including aluminum, steel, and often high-impact polymer. The diversity normally makes picking one out hard, but the following short guide should help with that, and you can move on to getting the right AR15 accessories to suit your needs. 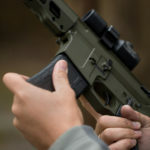 Considering the vastness and variety, it is vital to figure out the shooter’s preferences and needs before proceeding. For instance, a benchrest shooter would be interested in keeping his firearm low, so a Magpul D60 drum would not work well for him or her. Near the other end of the spectrum, you have three-gunners, who find little use for close-fitting five-round magazines. Capacity is a vital aspect to consider when buying a magazine for your rifle. 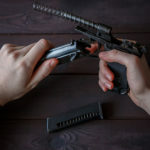 Sure, there are certain counties and states in the US with magazine capacity legislation stemming from the former AWB, where only military and law enforcement are allowed to carry magazines able to hold upwards of ten cartridges. These have ‘LEO’ (Law Enforcement Only) with date printed on them. Shooters in other states do not need to worry about all that. The focus of the rifle is very important. When working with a varminting benchrest rifle weighing around 15 pounds, you would need a relatively streamlined, low-profile magazine. If there are no hunting capacity restrictions, 20-round straight magazines are a great option, especially if you do not want it sticking past the grip. These can also broaden your range of options of firearm accessories. You need to settle on a type of magazine based on capacity. 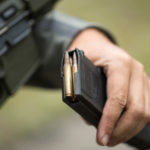 Classic 30-round mags are basically the jack-of-all-trades variety – they are common, widely compatible, and affordable; and balance size, weight, and capacity beautifully. 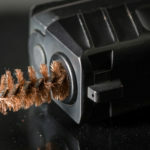 Higher capacity mags without drums are great for shooters who run out of ammo frequently, and cannot spare the time or effort to reload as many times. Drum magazines are ultra-capacious, holding up to 120 rounds and made to look cool in photos, but necessitating regular practice.